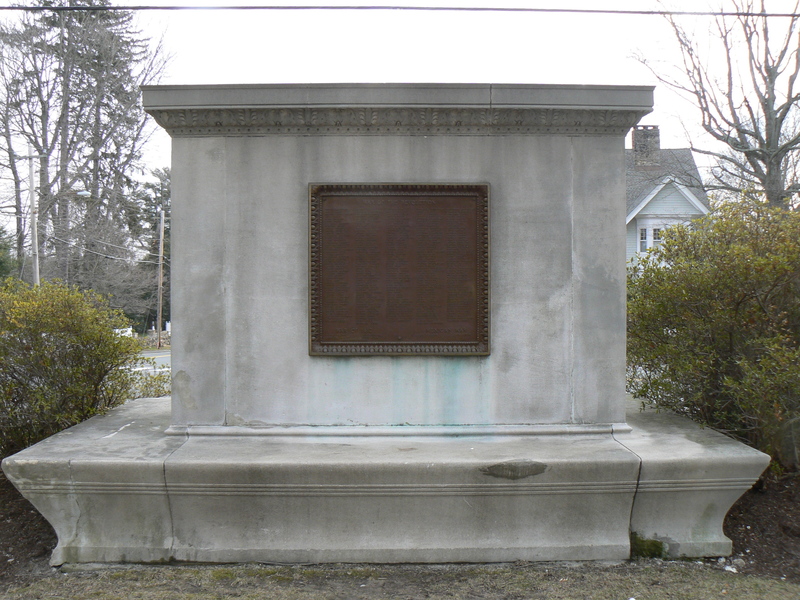 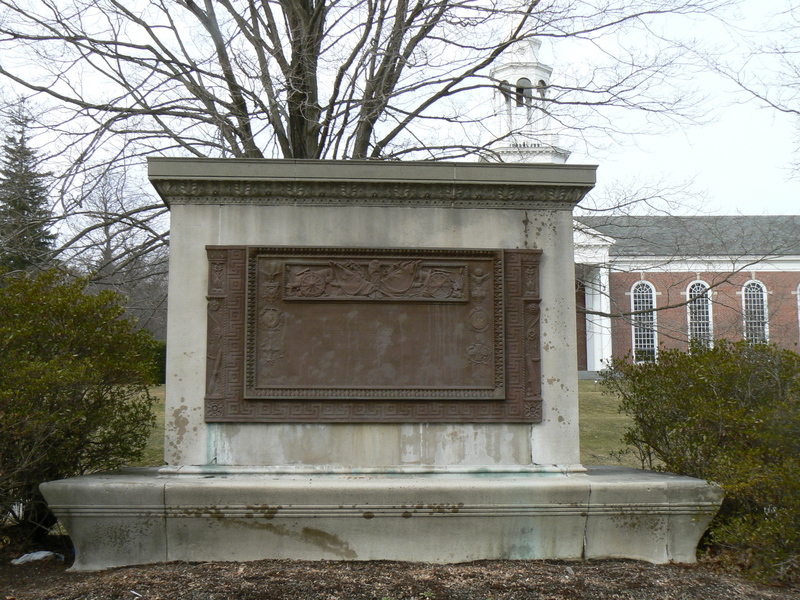 A large rectangular monument on Main Street in Ridgefield honors local residents who served in wars between the American Revolution and World War I. 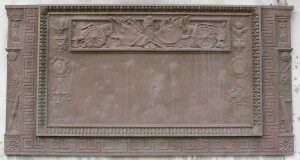 The east plaque, along with the dedication, bears ornate decorative details that include cannons, flags, medals, a propeller, a scale and a variety of other symbols and interlocking lines. 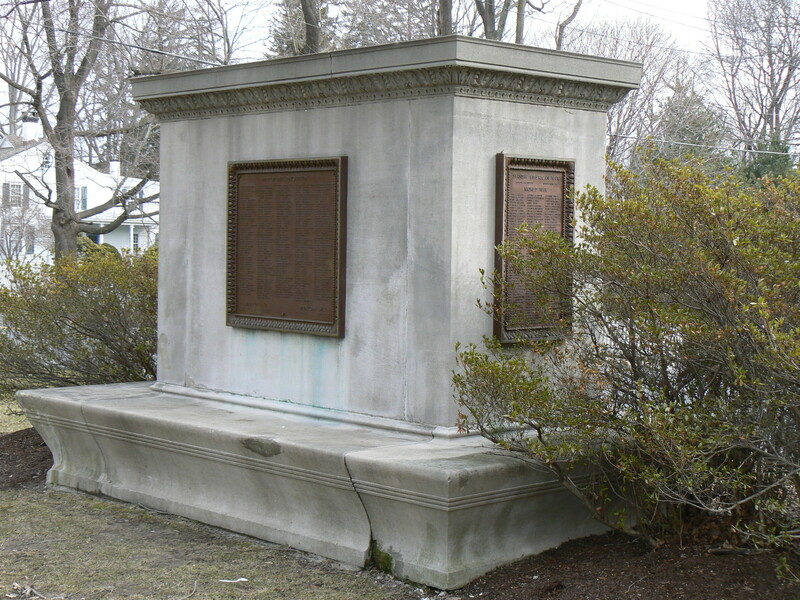 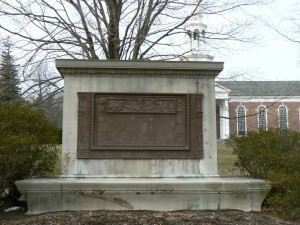 The west (rear) side of the monument (facing Main Street from the church grounds) honors veterans of the War of the Revolution (nearly 250 names), War of 1812 (five names) and Mexican War (two names). 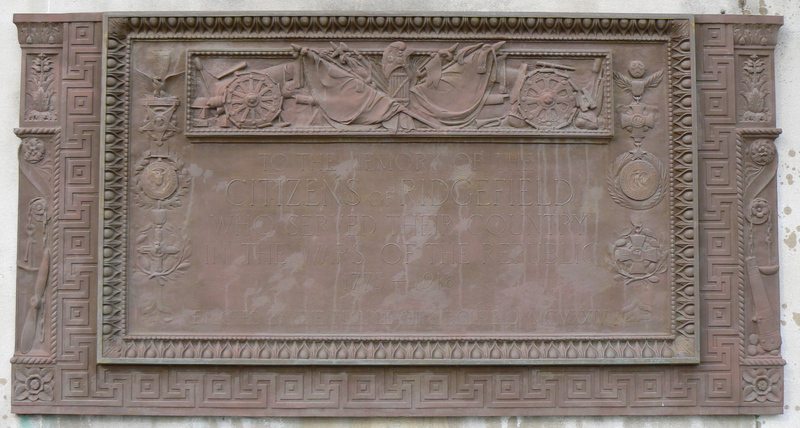 The north side plaque honors 185 Civil War veterans.